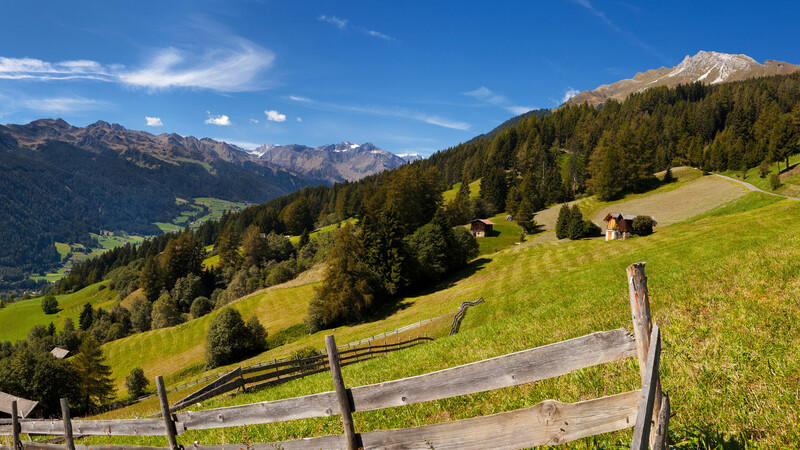 Short walks, varied pasture hikes, the splendid panorama tour over Platschjoch, paths and routes to high-alpine huts and glacier tours to the summits of the Alps – all this awaits you during your hiking holidays in South Tyrol. The “Kaiser-Franz-Josef Gorge”, also called Gilfenklamm Gorge, and the Burkhardklamm Gorge in Ratschings await you for impressive hikes near the unique interplay of water in nature. Some of the most beautiful castles in South Tyrol can be visited in Sterzing: like for example Wolfsthurn Castle with the South Tyrolean Museum for Hunting and Fishing. Or Reifenstein Castle, which is one of the best preserved and from an artistic and historical point of view one of the most precious castles in South Tyrol. The former highest-lying silver, plumb and zinc mine in Europe was turned into a show mine Schneeberg in Ridnaun with 800 years of mining history. In winter, the Jaufental Valley provides an ideal starting point for skiing and hiking holidays in South Tyrol or extended winter hikes. The quietness of the snow-covered fields and forest provide the ideal counter- balance to the three ski resorts Ratschings/Jaufen, Rosskopf and Ladurns with perfectly groomed slopes and modern lift facilities. Groomed cross-country tracks amidst splendid nature and a wonderful area for snow-shoe hiking for those who love the quietness and ski tours in unspoiled nature. Of course, there are also plenty of toboggan runs to be enjoyed.